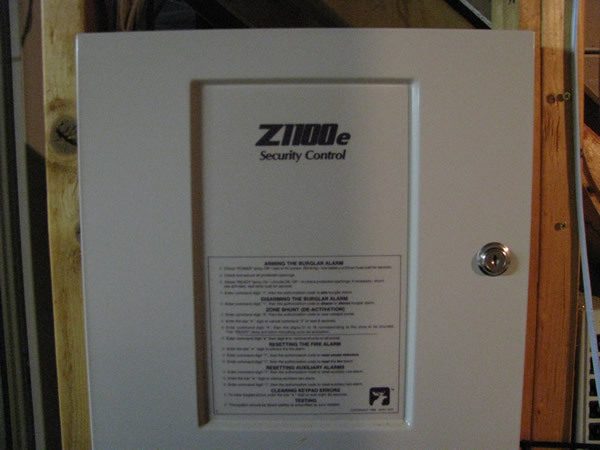 We are going to be working with the Z1100 security system first, as it’s the one I have in my home. 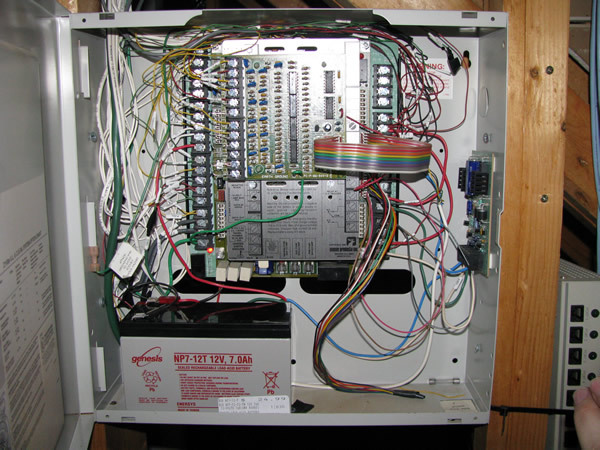 Above is the Control Panel for the system. Not very user friendly huh? 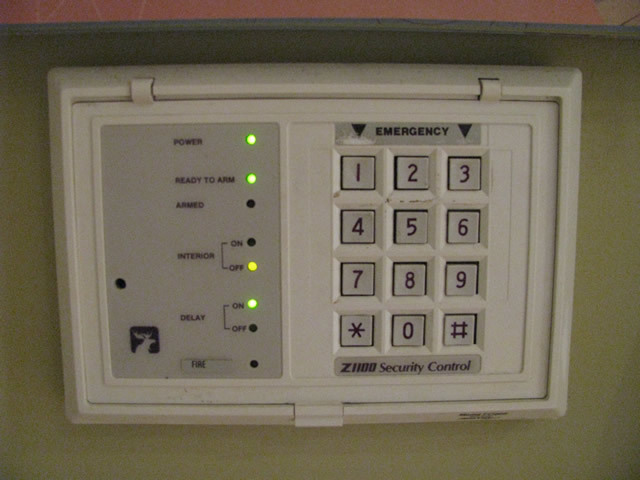 Above is the installation panel and a picture of the inside of it. This reminds of an old PBX with all the wire connections! Seems like there would be an easier connector than hard wiring everything. We’ll keep that in mind as we design the new system. Here is the Z1100 System Manual if anyone else out there needs it.